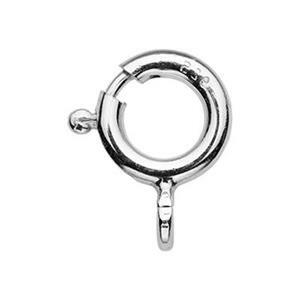 Halstead is your reliable source for bulk spring ring clasps for your jewelry studio business. Compare our great pricing. These larger silver spring rings can handle heavier chains and necklaces to a point. Silver lobster claws will provide added security for larger designs. An internal steel spring makes the clasp spring shut and remain secure.